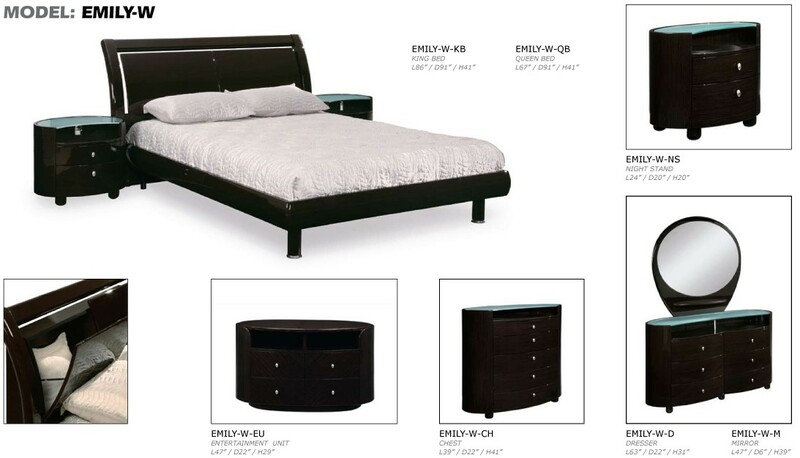 Storage Platform King Bed: L86" x D91" x H41"
Storage Platform Queen Bed: L67" x D91" x H41"
Storage Platform Full Bed: L61" x D86" x H41"
Glass Top Nightstand: L24" x D20" x H20"
Glass Top Dresser: L63" x D22" x H31"
Glass Top Chest: L39" x D22" x H41"
Emily modern bedroom set in wenge lacquer finish is also available in white and cherry colors. This popular collection made by Global Furniture has been around for years and served well in homes of our happy customers. Rich wenge lacquer finish protects from any scratches and can sustain heavy usage. Platform bed does not require box spring and contains ample storage in the headboard. 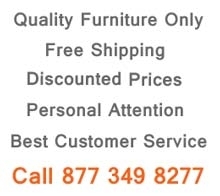 Strong tempered glass top dresser, nightstands and chest include shelf underneath. Large smooth opening drawers completed by metallic handles. 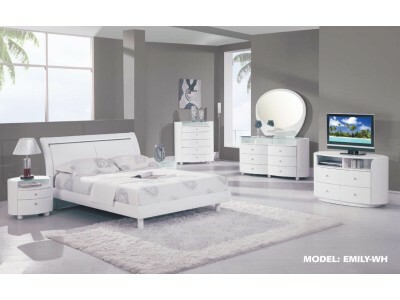 Modern rounded design combined together with the minimalist style produces one of the kind collection and makes Emily bedroom set stand out.